If you enjoyed the video looking into the ultimate fate of the Wii's Project H.A.M.M.E.R., then you'll be sure to enjoy the latest helping from Unseen 64. The investigative YouTube series often finds dirt and secrets on some of gaming's most infamous cancellations, and while digging around at Nintendo Software Technology (NST), it found out a few more secrets on Nintendo's most infamous cancelled game in recent memory, Metroid: Dread. Of course, news of Metroid: Dread is especially relevant nowadays with a good number of Nintendo fans upset over the announcement of Metroid Prime: Federation Force. Many of them saw the cancelled Metroid: Dread – which never actually saw the light of day in any way, shape, or form – as the one true Metroid game they have been craving for the last eight years, and they still cling to it for hope. Sadly, it went under the radar and never reared its head again. NST, the company which hammered out Metroid Prime: Hunters, had a little information on Metroid: Dread, and the most revealing part is that what made it into game form looked just like Metroid Fusion. 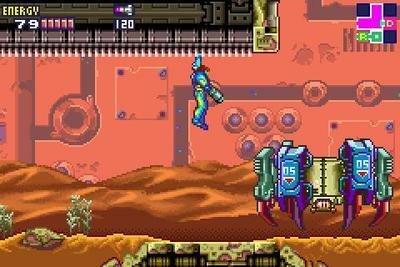 The video even states that it looked like a port of Metroid Fusion running on the Nintendo DS. Take that as you will. Nintendo has already proven that it won't release sequels unless they hit a certain level of innovation, and the incremental improvement over a GBA game might have been the last straw which got it canned. Sadly, it wasn't meant to be, leaving Metroid: Zero Mission as the final game ever released in Metroid's classic side-scrolling formula. Relax, Metroid fans. Something is bound to happen next year. Nintendo won't leave you hanging for much longer. The franchise might skip the Wii U, but remember, Metroid also skipped the Nintendo 64, and the result was the groundbreaking Metroid Prime with all that extra time to think about it. The difference in time between Super Metroid and Metroid Prime was also eight years, the exact same difference in time between Metroid Prime 3: Corruption and now. Even less time if you want to consider Metroid: Other M, which was only five years ago! Never fear! It'll come.